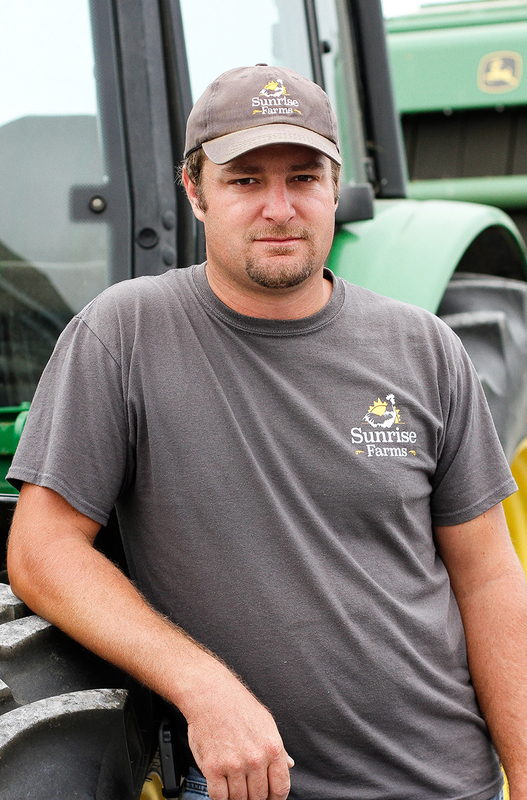 Maynard bought Sunrise Farms in 2003 looking for a way to provide employment for his family. With a background in farming, this venture seemed to be a logical step in pursuing the dream of a family operated business. Maynard has always valued hard work, customer service, and quality products. 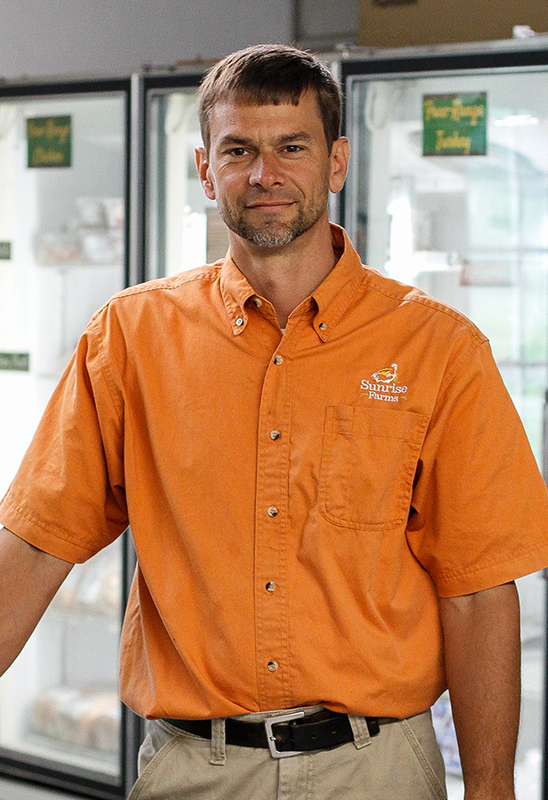 The growth of the feed mill and meat store demonstrate his commitment to these values. 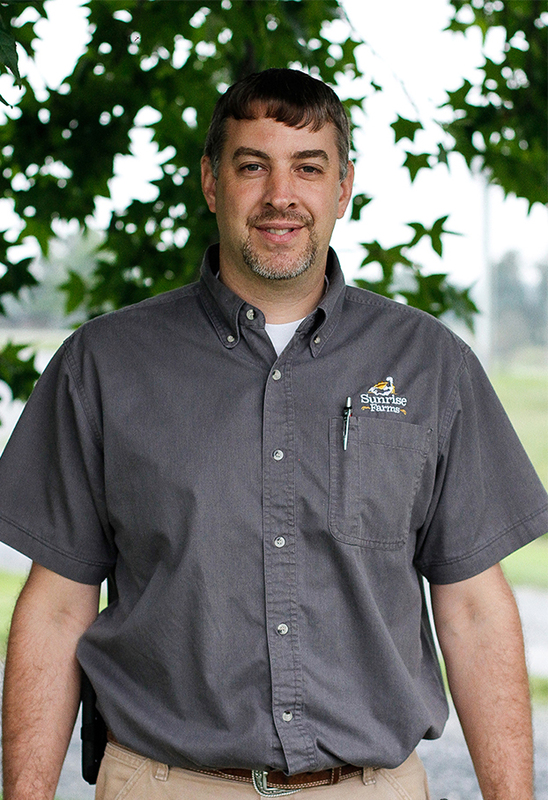 Maynard enjoys working with the livestock, managing the farming operation, and bringing greater efficiency to the milling process. He is happy to be working closely on the family farm with several of his sons and a son-in-law. In a spare moment from farm work, Maynard is likely to be spending time with his grandchildren. Anthony, one of Maynard’s sons, has worked on the farm since its purchase in 2003. Beginning with managing the feed mill, he has lately been taking on the general management of the farm. 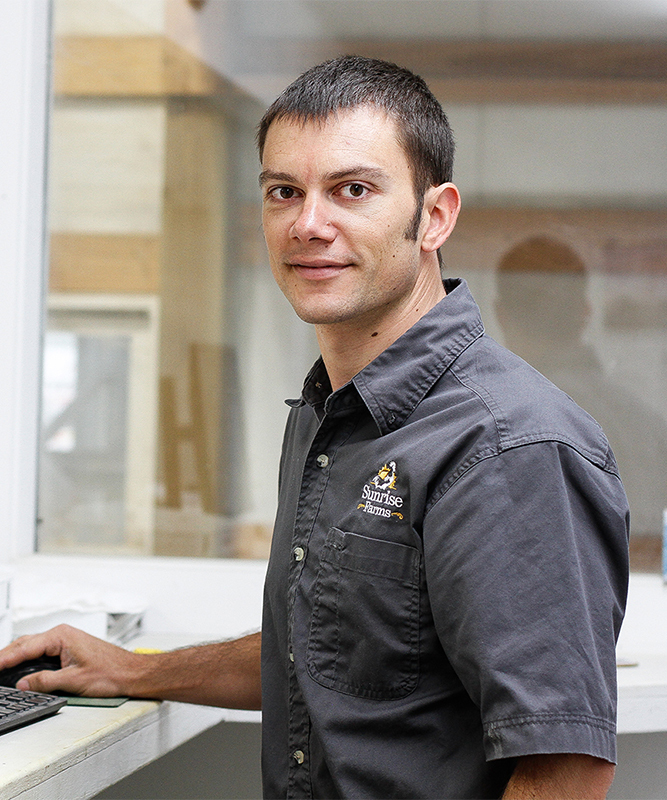 Anthony works with local farms and grain suppliers to secure quality non-GMO grains and natural feed mixes. He also oversees general bookkeeping in the office. When free from farm responsibility, Anthony spends time with his wife and three children and volunteers with his church and the local fire department. 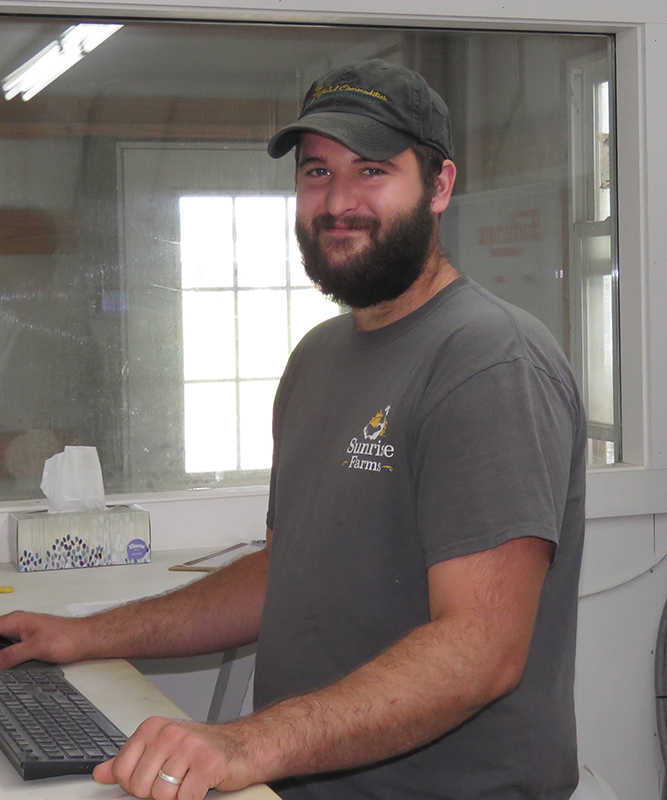 Jeffrey, another of Maynard’s sons, coordinates the feed deliveries and manages feed mill production. He communicates regularly with our customers to schedule feed deliveries and also helps in the office. Jeffrey enjoys a relaxing evening after work and spending time with friends. Jonathan, the oldest of Maynard’s sons, lives on site with his family and six children. He manages sales and inventory for the farm meat store which he works in during the evenings and on weekends when he is free from teaching at a private Christian school. Jonathan loves birding and making music with others. 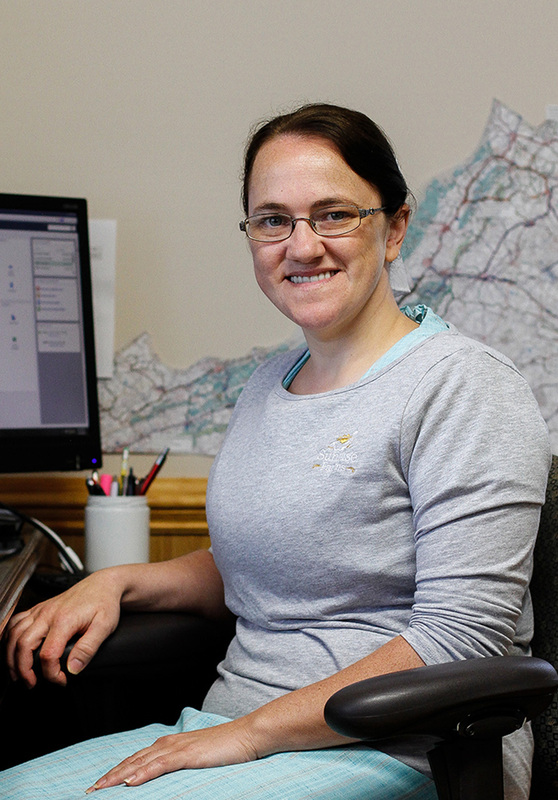 Rolanda will likely answer your phone call if you call our farm office. She is quick to accommodate our customers with her friendly personality. Rolanda also uses her creativity to arrange décor in the store and to keep up the flower beds. She likes to sew and care for her nieces and nephews in her spare time. Sarah works part-time as secretary. Her efficiency and attention to detail is valuable to the success of the operation. 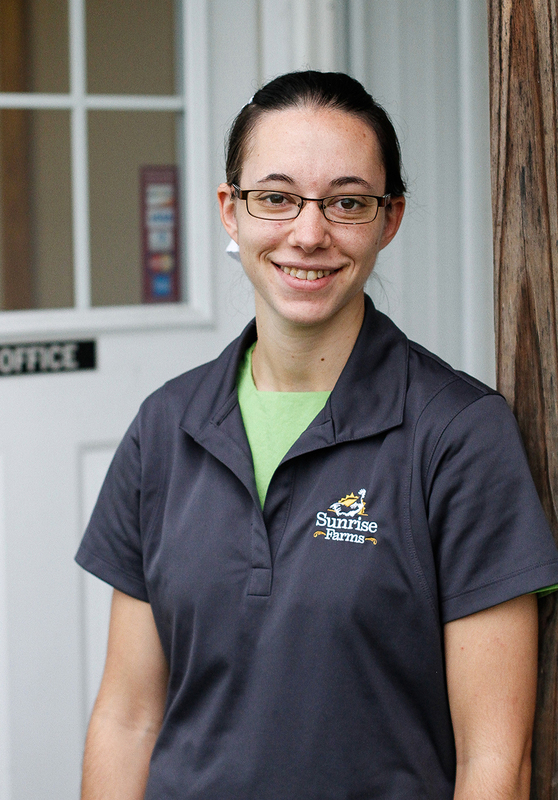 When not working at the farm, she loves to spend time with her two children, Harvey and Katie. 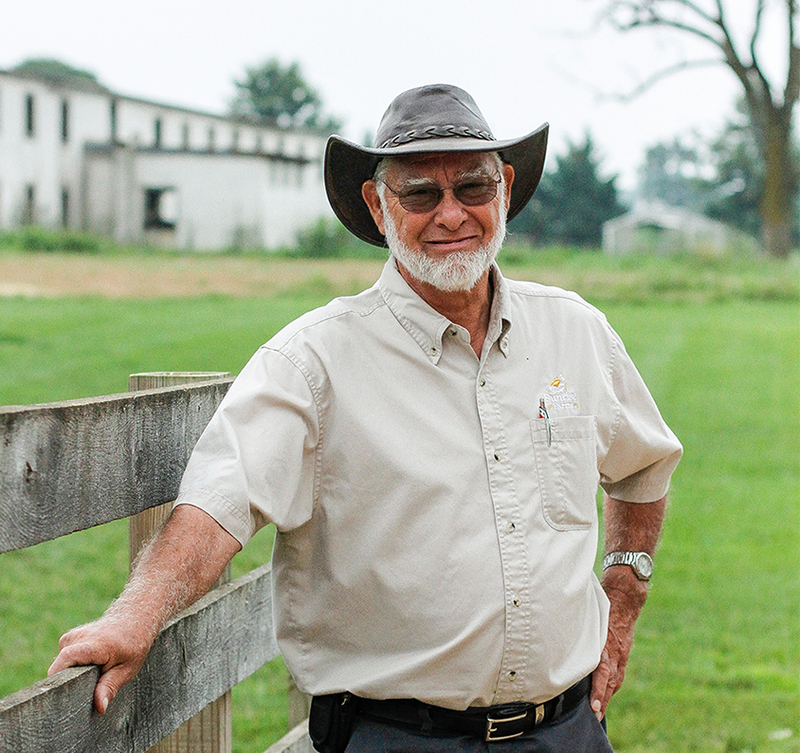 Dennis cares for most of the livestock on the farm and oversees pasture rotation and hay making. While he has a knack for working with animals and operating machinery, Dennis also designs and builds needed pieces of equipment for the farm. He gives care and thought to his work. When not on the farm, Dennis volunteers at his church and at the local fire department. 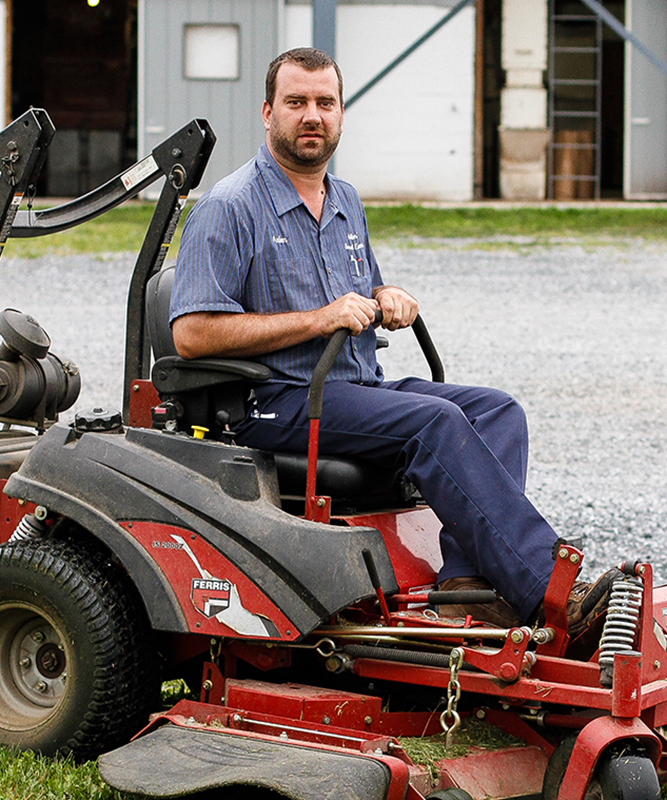 Arlen, another of Maynard’s sons, lives on site, and keeps the grass mowed around the family farm buildings as a side job. In addition, he is full-time manager of Miller’s Small Engine located several miles south of Stuarts Draft. Arlen loves to grill and spend time with his wife and five children. Dan sees after the janitorial work in the office, store, and feed mill. 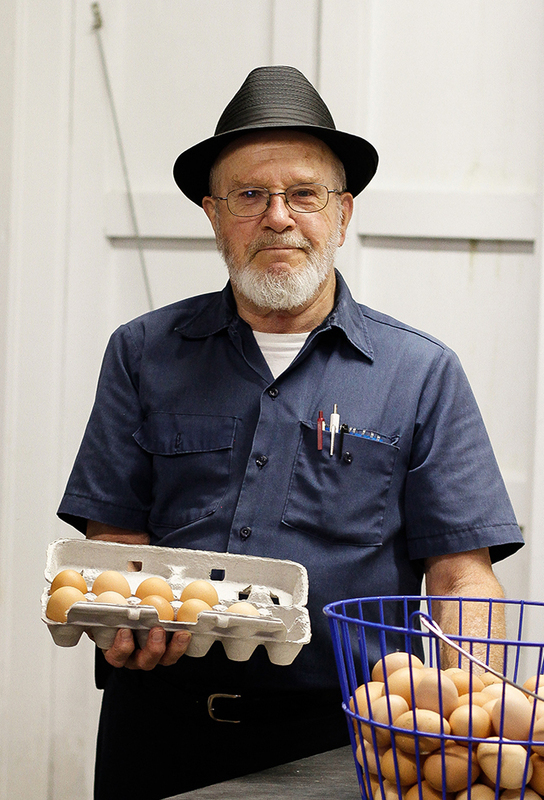 In addition, he carefully grades the eggs and stocks them in our store front. Although retired for a number of years, Dan works carefully and efficiently. He always has time, however, to stop for a friendly chat. 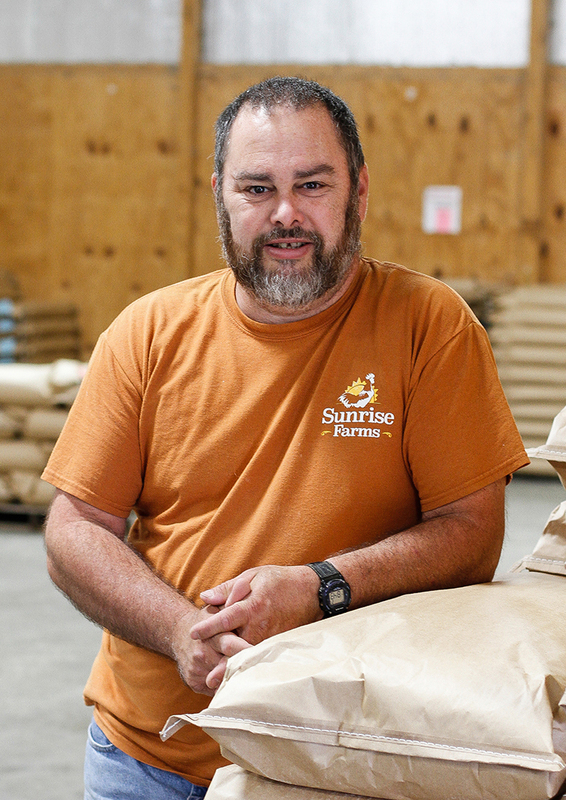 Allen oversees the daily operations of the feed mill--mixing, grinding, bagging and unloading and receiving grain. In addition, he is responsible for general mill maintenance. Allen brings a cheerful disposition and a willingness to go beyond what is expected. Allen enjoys a good cookout with friends and family. 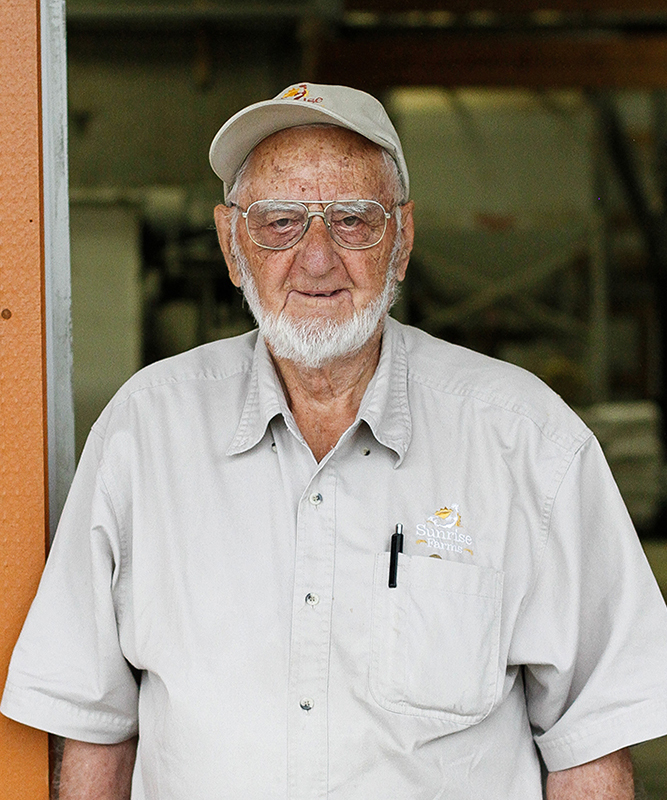 Merle grinds and mixes feed, operates the bagger, and loads feed for customers. He works hard for customer satisfaction and is quick to strike up a conversation with anyone. Merle helps to keep the mill organized and clean. Merle is also involved in his local church. Kenneth is the latest addition to the feed mill team. His attention to detail and deadlines helps to ensure that orders are completed accurately and on time. When not working in the mill, Kenneth volunteers at the local Stuarts Draft Fire Department. As an avid train enthusiast, you might find him tracking the closest freight locomotive or riding a passenger car for fun. 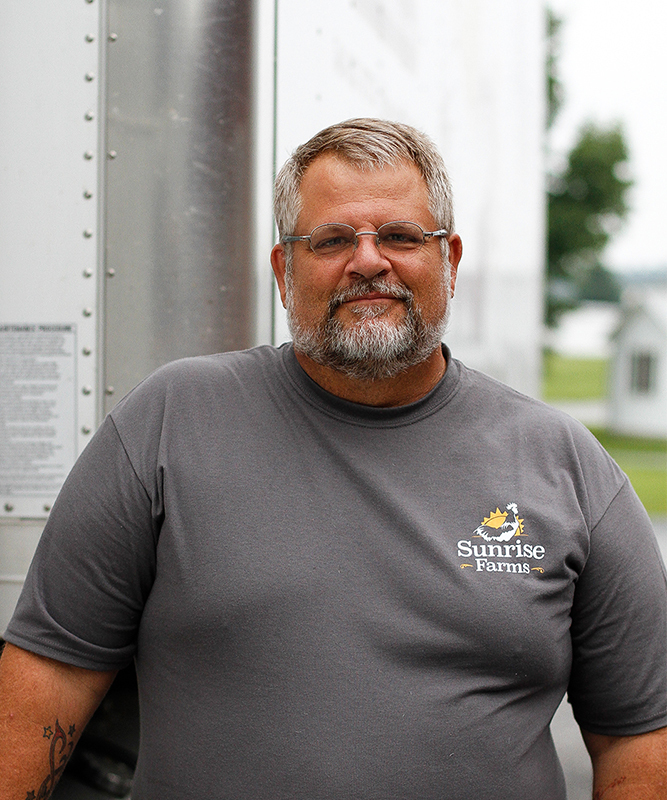 Paul, the latest member to join our team, brings years of truck driving experience to his role as delivery driver. In addition, Paul’s management position in a large non-profit for 10 years has given him a diverse set of skills in general property maintenance and employee relations. When not on feed delivery, Paul enjoys spending time with his wife and family of seven children. 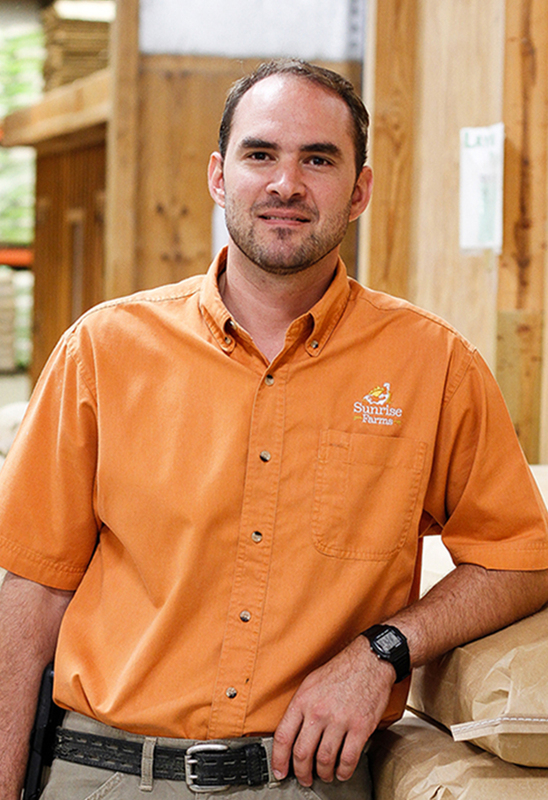 Jonathan delivers bulk feed throughout the central Virginia region. A careful driver, he will be sure your feed arrives safely. 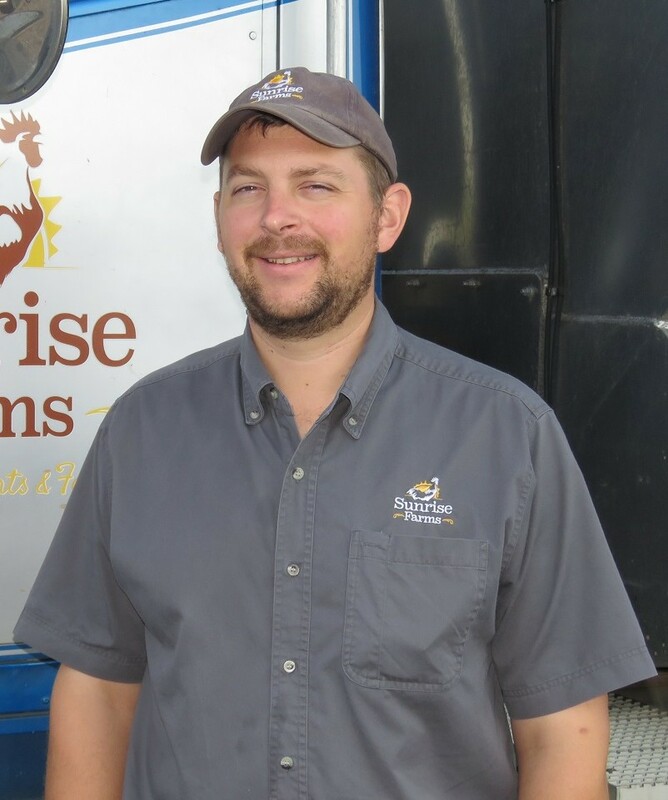 When not in the truck, Jonathan helps Dennis care for the livestock putting to good use his experience growing up on a dairy farm. Married to Maynard’s daughter Andrea, he loves to spend time with his three boys as well as tend to his fish ponds at Barterbrook Trout. Heidi helps process chicken throughout the summer months and turkey at Thanksgiving. In addition, she raises the chicken and turkey and gathers the eggs. 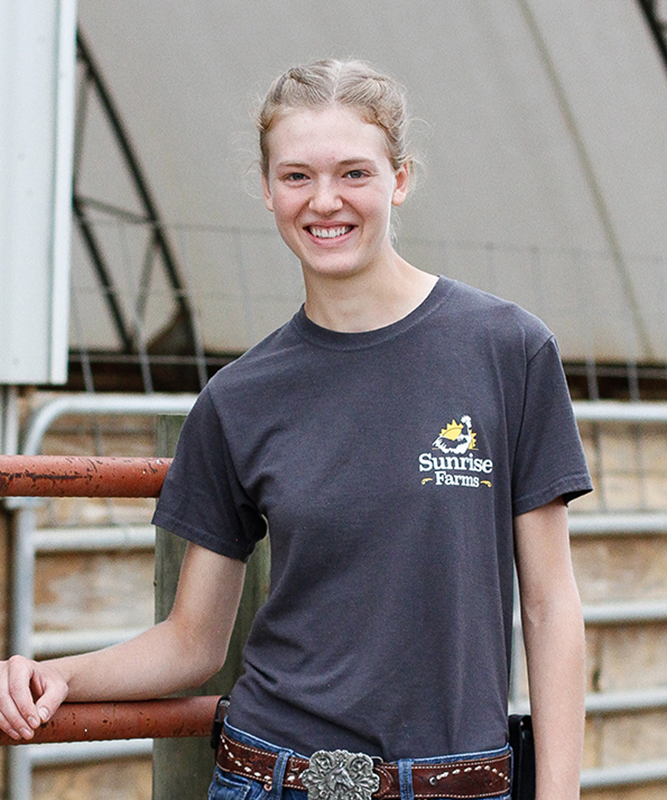 Heidi loves animals and the opportunity to work on the farm. Heidi also enjoys playing banjo and fishing with her Dad. 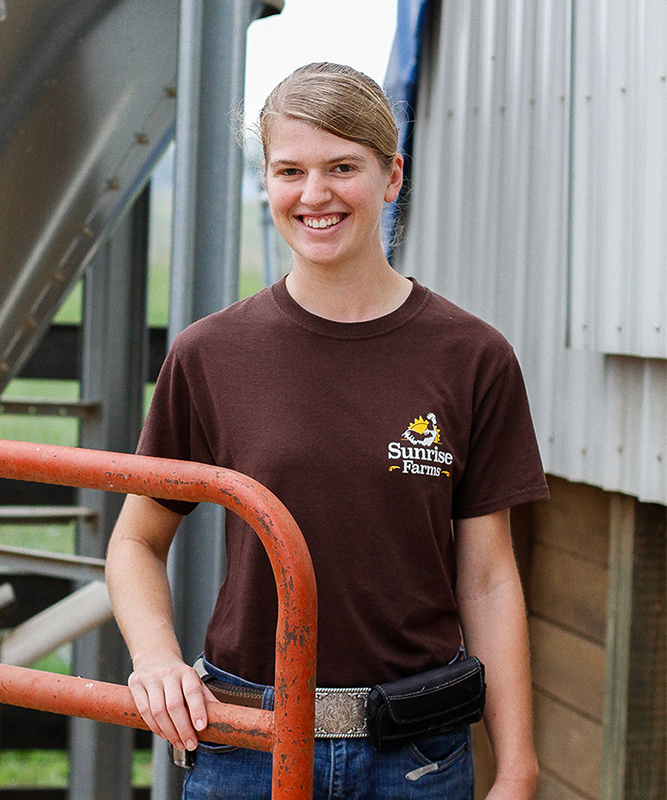 Ingrid, the youngest of the Burkholder sisters, also helps with processing poultry. She is a cheerful and enthusiastic worker. Ingrid enjoys the outdoors, horseback riding, playing mandolin, and crocheting. Contact Us Or Visit Our Non-GMO Family Farm And Store.